While unpacking my luggage last night, I finally saw my travel journal. I thought I'd lost it somewhere in Manila. The journal contained some of my travel plans, bucket lists, travelogue, and schedules. While browsing, I read my outdated bucket list entitled "things that I have to achieve before turning thirty something". Number one on the list is to explore Japan. I have been eyeing to visit Japan not because I am a fan of Naruto or Bleach. Even my undying love for sushi and sashimi would not even suffice. The country is home to sakura, the famous Mount Fuji, cherry blossoms, cutting-edge technologies, and the most disciplined citizens in the world. But personally, their culture makes me want to explore this country. Japan has this enigmatic character, be its citizens, culture, or history. I do remember one particular episode from Discovery Channel which featured some century-old practices, one of which is the Awa Dance Festival. This Japanese dance festival is held from 12 to 15 August as part of the Obon festival in Tokushima Prefecture on Shikoku in Japan. Awa Odori is the largest dance festival in Japan. Groups of choreographed dancers and musicians known as ren (連). They dance through the streets, typically accompanied by the shamisen lute, taiko drums, shinobue flute and the kane bell. 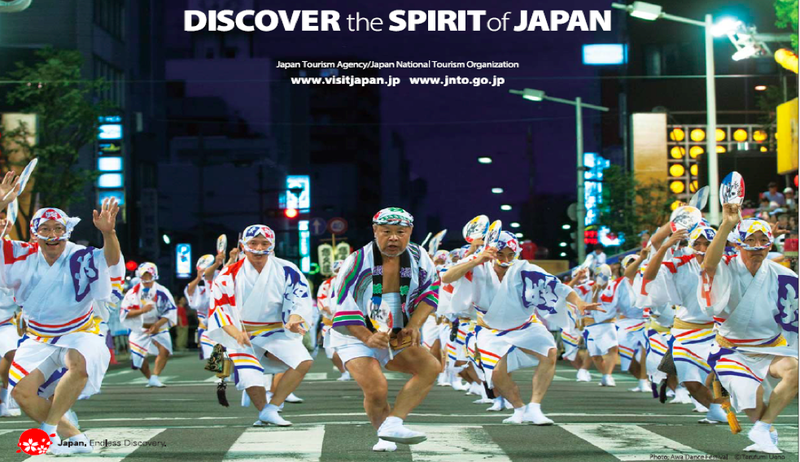 Performers wear traditional obon dance costumes, and chant and sing as they parade through the streets. There are several things that make Japan an interesting place to visit. Who couldn't resist Japan's beautiful landscapes? Or how about their mouthwatering dishes? Don't forget to visit their famous karaoke bars and shop at Tokyo. Don't worry, there are over a thousand of shopping destinations to choose from! I still have seven more years before I turn thirty. I guess that's more than enough for me to save money and to plan for this one-of-a-kind trip! Japan, see you soon! I promise. It's one of my dream destinations to visit. I'd love to learn their language, culture and of course, visit Tokyo and explore Shibuya district! maganda talaga ang japan.i just went there last november for the autumn leaves.sana makabalik ako for cherry blossoms naman.you have so much time pa to prepare.